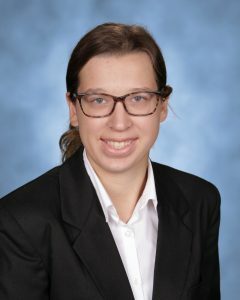 Writing the book was the easy part, says Anna Beer, who will be at senior at Everest Collegiate this fall. 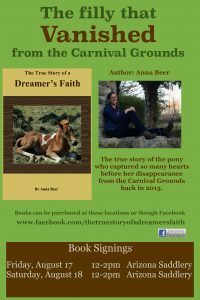 Ann recently published her book The True Story of a Dreamer’s Faith, the true story of the pony who captured so many hearts before her disappearance from the Carnival Grounds back in 2015. Anna’s love for both writing and horses began when she was young. Before long, she was writing about horses, and the rest is history. The real feat in the release of the book was the publishing process. Anna had to learn about the steps to take to retain the rights to her book, the editing process, ISBN numbers, cover designs, and much more. Anna also expressed gratitude for the many people who supported her in the process of writing and publishing the book. Anna’s book can be purchased online or at Arizona Saddlery in Clarkston. Anna will be hosting two book signings at Arizona Saddlery on Friday, August 17 and Saturday, August 18 from 12-2 P.M.